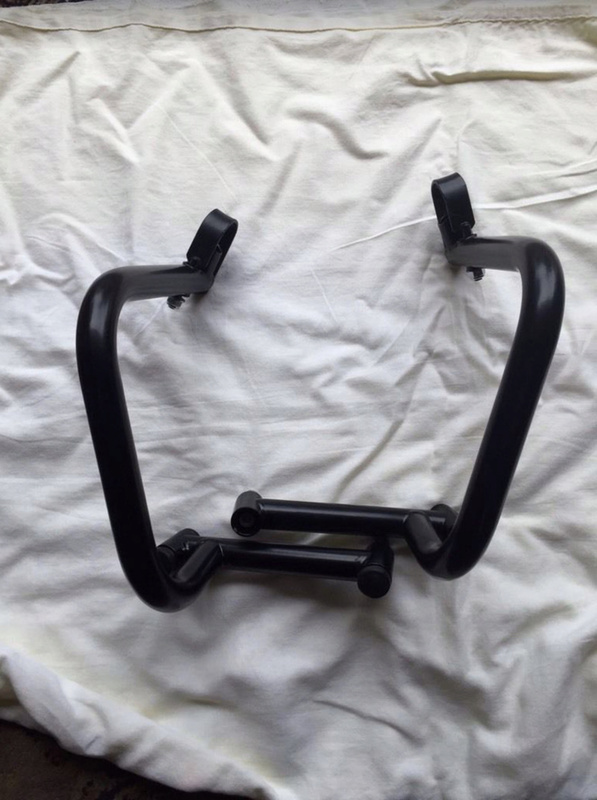 K1100LTP (Police) Question - Rear bars? K100-forum.com » General discussion » K1100LTP (Police) Question - Rear bars? I know that K75 & K100 police versions had rear protection bars but I've been looking at both the ETK and Internet pics of K1100LTPs and don't see any. Did the rear protection bars only come on the 2V police Ks? I’ve only seen them on the K75 police bikes. I hat some and sold them. I would love a set.!!! Aiming on getting off without putting the sidestand down Olaf? I have never come across a set and I would think the lower mounts would be different from the K100/75. I also think that the police protection bars were ever only to protect the City cases in that the full size cases protrude past the bars and so would protect the bars from damage. @Dai wrote: Aiming on getting off without putting the sidestand down Olaf? Just to clarify......twice since I got the K1100. So far its 1-1 left and right. Refer to my posts elsewhere about the rivets in the pannier to Z bar lock. They are designed to pop so your pannier doesn't break. The panniers for some reason have rubber corners stuck on.......right where they land on the ground. The engine bars are good for levering it back up too. If I do hit bad luck I have a spare fairing and gas tank for it. Tank is the right colour too.